Each Electralink connector contains a low temperature pre fluxed solder ring so every installation is automatically made with the perfect amount of pre-measured solder. Once soldered and sealed the connection is extra resistant to wire pull outs. This soldered termination provides superior conductivity and the poly-olefin adhesive lined heat shrink tubing used as insulation forms a corrosion preventing water proof seal. 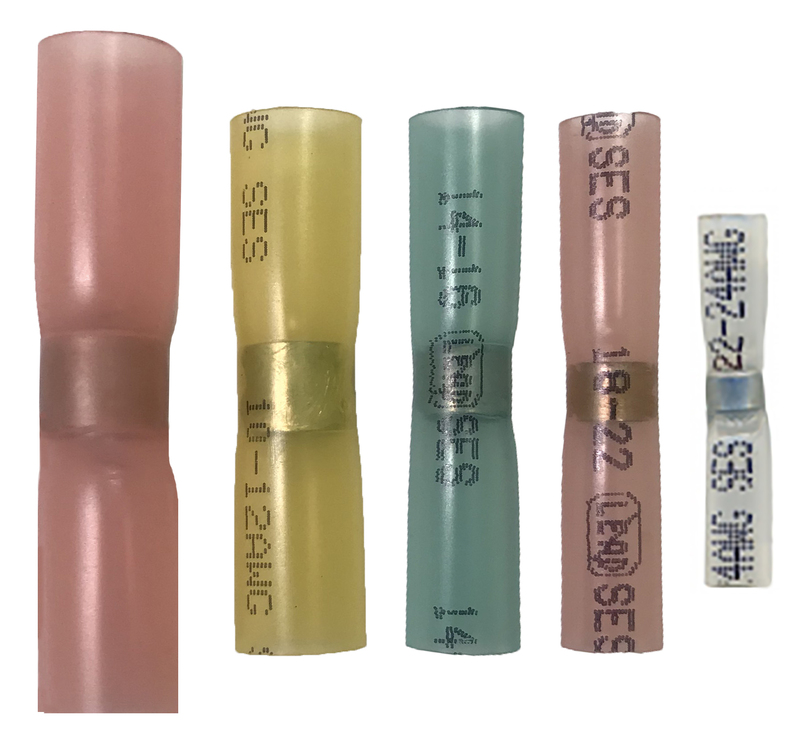 Proper installation can be easily verified through the translucent Heat Shrink Tubing. 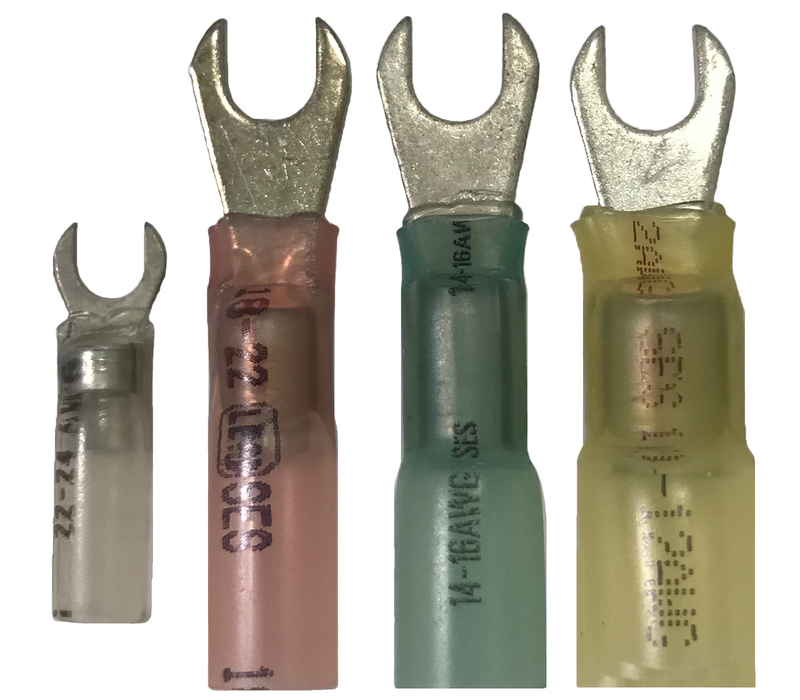 Each sealed solder connector is industry standard color coded and imprinted for quick and easy identification. 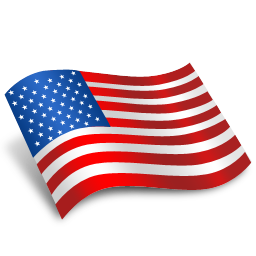 - Great for commercial and industrial projects. - Automotive and Fleet Industry applications. - Adhesive lining provides for water resistant and non-corrosive connections make this ideal for marine applications. - Any wiring project requiring high quality electrical connections. Especially valuable in high humidity and corrosive environments. 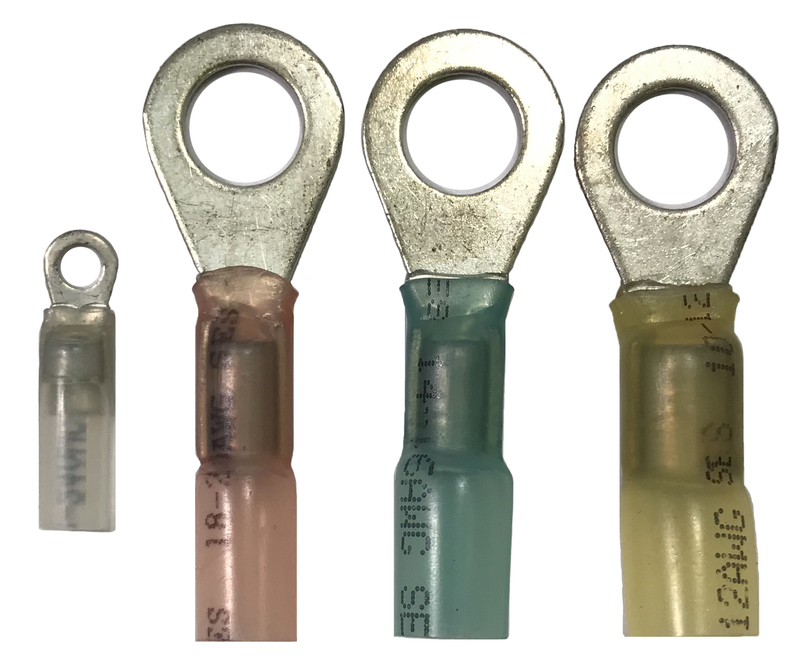 Elektralink Heat Shrink Wire Terminals - Click on Price to purchase.